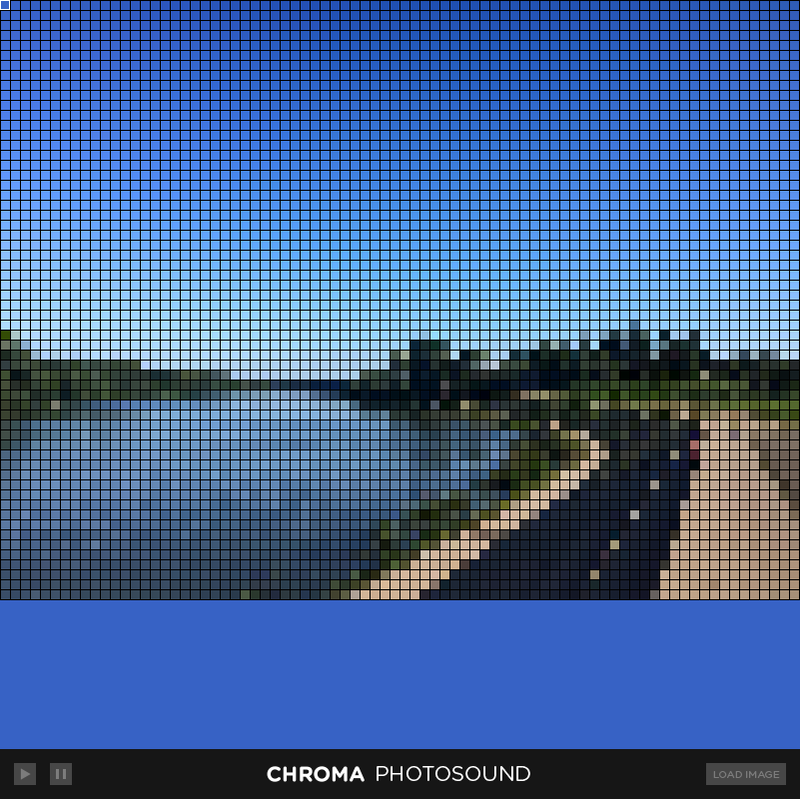 A desktop Java applet that translates photos into sound. 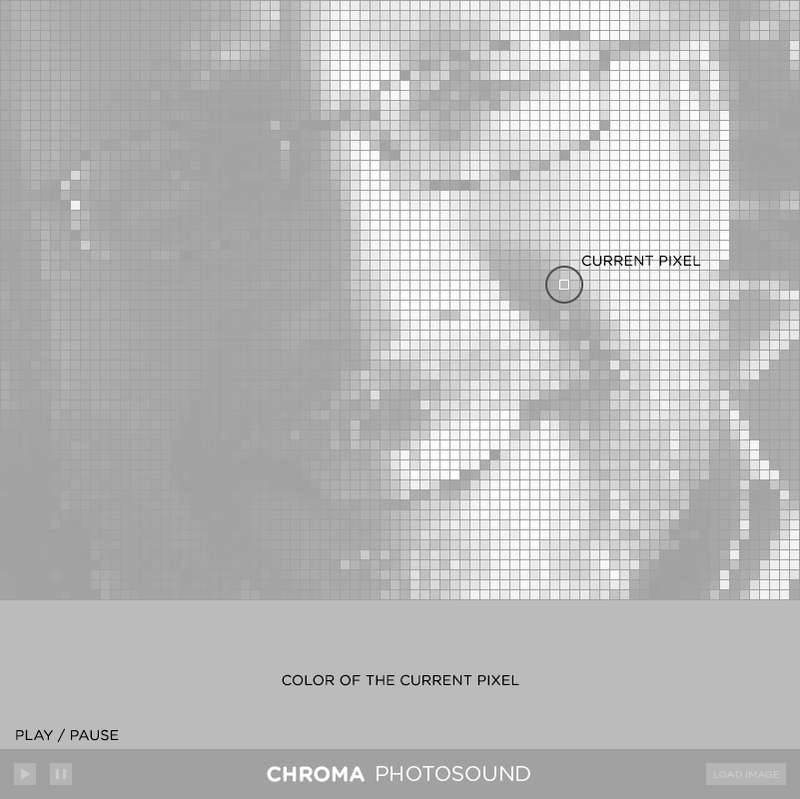 Each pixel is translated into three music tones, one for each color channel, and they are played as a chord. into a series of chords. The photo you load will be resized to 80 x 60 px, and cropped if necessary. Standard image formats are accepted (.jpg, .gif, and .png). The pixels will be read row by row, starting from the upper left corner. The lower field will show the color of the pixel that's being read. You can skip portions of the whole sequence by clicking anywhere on the photo and the playback will continue from there. You can also load a new photo while the previous one is still playing. Press (+) key to increase or (-) key to decrease the tempo of playback.